It seems one of P's favorite birthday gifts is the dollhouse her auntie decorated for her. She likes taking the chairs out and handing them to me. But her favorite detail in the whole house is the little picture of her on the wall. She points at it, smiles and ooooohhhs at it. Another thing she's doing a lot lately is handing things to people. She'll find some thing, pick it up, walk over to you and say, here. At least, I'm pretty sure that's what she's saying because it sure sounds like it! I'm really liking this stage. I'm in love with that doll house! It is so cute. That age is really fun...enjoy it! 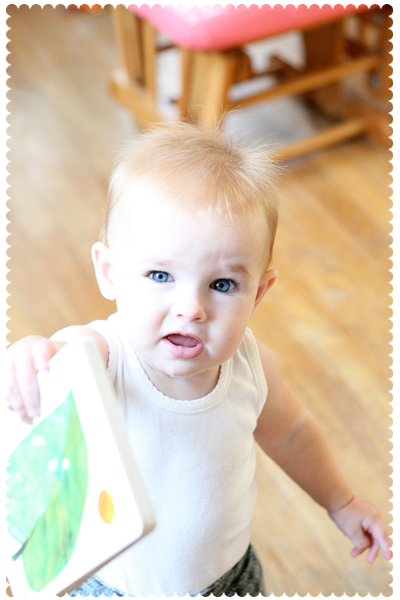 i feel like this stage (from to about almost 4) is the BEST! they are so sweet, innocent and precious to watch as they discover and understand the world around them. i'm really cherishing this with my youngest. enjoy! it goes by too quickly. ps... LOVE the dollhouse. i'll have to make a version of it for mine some day! 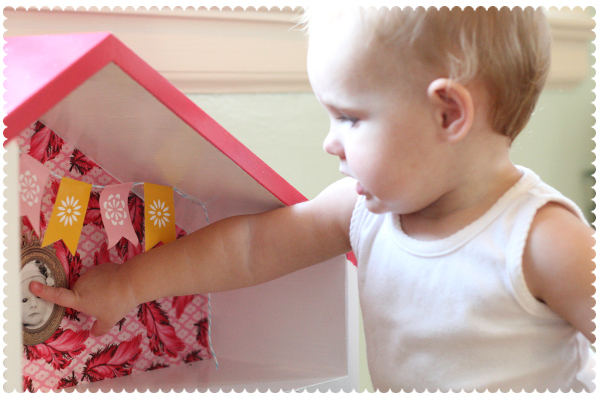 Sweet P's dollhouse is all over Pinterest! Ha! i literally said, 'awwww!' out loud!! i love that.